I would like to thank you all for accepting our invitation to join us tonight on this important occasion. 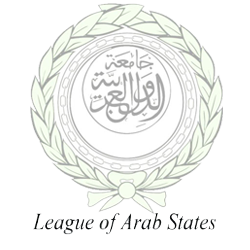 On the eve of 22nd of March, marking the Sixty Eighth anniversary of the founding of the league of Arab States. The Arab League, as many of you may know, is one of the oldest regional organizations in the world. Founded on March 22, 1945, it was established even before the founding of the United Nations. With its geopolitical location as the cradle of the three divine religions with a population of more than 360 million, at the crossroads of ancient civilizations, overlooking the shores of the Red Sea, the Arabian Gulf and both the Indian and Atlantic Oceans; atop the largest oil and natural gas reserves in the world, controlling the Strait of Hurmuz, the Bab El-Mandeb Strait, the Suez Canal, all of which made the Arab region a place of conflicts and tangled interests, and gave it demographic, economic and strategic weight. On this occasion, I like to say few words about the turning point of the relations between the League of Arab States and the United States’ Department of State. In this regard, I will thank many of the officials of the State Department, many of whom are with us this evening, whose tireless efforts have contributed to strengthening further the cooperation between the Arab League and the State Department. In particular, I wish to pay tribute to former Secretary of State Hillary Clinton who since the beginning of the Arab uprisings more than two years ago, played a major role to coordinate with the Secretary General of the Arab League, Dr. Nabil El Arabi, on many issues related to the demands of millions of Arab youth in their quest for democracy, justice and the rule of law. This coordination was culminated and reflected in the signing of the Memorandum of understanding (MOU) last year, which established the basis for cooperation between the two parties in areas of common interest, such as economic, social, cultural and scientific. This is also a good opportunity to refer to the ongoing visit of President Obama to our region where I hope that our efforts of cooperation will not stop there, but will expand to include the realization of a just, lasting and comprehensive peace in our region, so that all peoples in our region live together in dignity enjoy the peace dividends of prosperity, security and stability. To the Arab-Americans who are present here and in other parts of the United States, I will say you are a bridge that links America to the Arab World. You have an important role to play, and should take pride in your heritage which has become, thanks to you, a valuable part of the American mosaic. I will also say that you can play a crucial role in sustaining and strengthening the bonds between America and lands of your ancestors. As loyal Americans of Arab descent, you will certainly have a great influence in determining the course of future Arab-American relations. Lastly, I would like to thank my colleagues in the Council of Arab Ambassadors in Washington whose support made this event possible. Once again thanks to you all; It is a great privilege and honor to be with you this evening.